You have nothing to lose (okay, maybe a few lbs) and everything to gain (like muscles and a renewed since of confidence). Starting Point Session :: We evaluate your fitness levels and goals. Customized Fitness Programming :: Based on your goals, we design a individualized program. 4 Small-Group Personal Training Sessions :: Work with a certified trainer for in-depth instructions focused on you. Unlimited Team Metabolic Training :: Not your conventional cardio classes. Our accelerated classes are effective, safe and fun. Open Gym :: Come as often as you like to take advantage of your full gym access. On-Point Session - Our one-on-one monthly accountability session will help you reach your goals. We will answer questions about nutrition, your open gym program and make sure your strategy is working for you. This is a huge part of ensuring your success. If at the end of the 14-day experience you decide that we are not the club for you, you can walk away with no further obligations. What better way to get you started toward your fitness goals? Thank you for your interest in True 180! One of our health professionals will be in touch with you shortly. If you would like to speak to someone immediately, please give us a call at 202-314-1457. Cheers to your health and fitness! Note: Once you fill out the form, you should receive an email about your 14-day trial. Do you currently eat food? If you can wrap your head around changing what you eat for lunch or what you drink most of the time, then you can do it. If you literally will not change anything in your diet, then, no we can’t help you. Can you invest 2 to 4 hours per week in exercise? If you can exercise twice a week for an hour at a time, then you can do it. If you can’t make that much time in your life to invest in yourself, then please come back when you can. We will be here waiting for you. We are nice and we like to work with nice people. For more answers, check out some of our frequently asked questions. 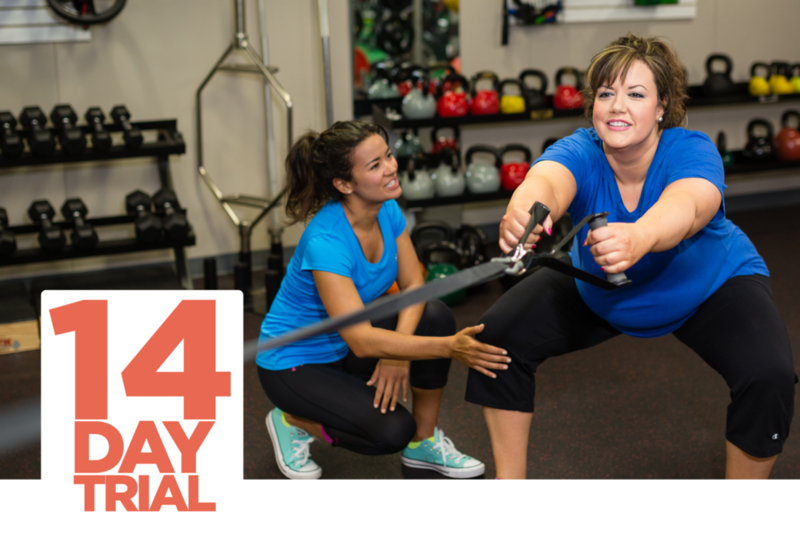 The 14-Day Trial starts the day you come in for your Starting Point Session.We will also map the rest of your trail period to fit your schedule. Our system of small group training is actually a key to how you can get results for a great value. Our coaches can supervise up to four people at the same time, so you all get as much attention, see results, and have fun. The majority of what we do is help people with weight (fat) loss, but we’re also very good at helping clients gain muscle mass and helping athletes set personal records. Yes, you will fit in. And everyone is welcomed and encouraged. Our policy states that we will fire any member or employee if they are ever mean to another member or staff personal. No amount of money is worth damaging the environment we’ve worked so hard to create. We respect and support each other. We really care about the well-being of our employees. Everyone needs a day off to be with their family. Didn't find what you were looking for? Email, call or come by and see us.